For over 30 years DASH has served as a major supplier of high quality, disposable gloves to the Medical, Dental & Industrial markets. We love taking care of our customers. Our team prides itself on making sure every customer knows they are DASH’s #1 Priority. Our customers always have access to the best hand protection at fair prices. 100% Quality Satisfaction is ALWAYS guaranteed. DASH will NEVER add shipping charges to your order. No hidden fees. 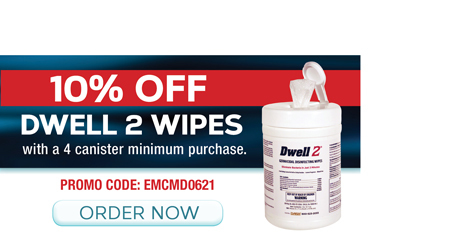 25% OFF on Dwell 2 Surface Disinfectant Wipes!